The 3Q Project is located in the southern end of the “Lithium Triangle” in the Puna Plateau. The area is characterized by high altitude salt flats, many of which contain elevated lithium concentrations. 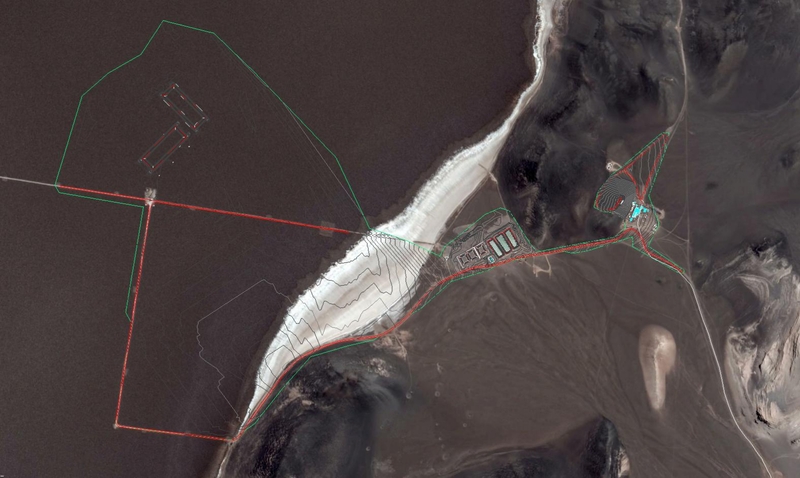 The largest brine lithium mines and projects in the world are located in salars in the Lithium Triangle including Atacama Salar (SQM and Albermarle), Cauchari-Olaroz Salar (Orocobre and Lithium Americas Corp) and Hombre Muerto Salar (FMC and Galaxy). 3Q is one of the fastest growing lithium brine projects in the industry, moving from discovery to full development in two years. We will continue to progress the 3Q Project into advance development stage in record time. The Project is located in the southwestern portion of the Catamarca Province of Argentina, the largest Lithium producer province of Argentina. The closest population centre to the Project is the town of Fiambalá, Argentina (population 5,000), located 100 km east of the Project. There are no aboriginal communities or inhabitants in the Project area, which is only 25 km from the border with Chile. 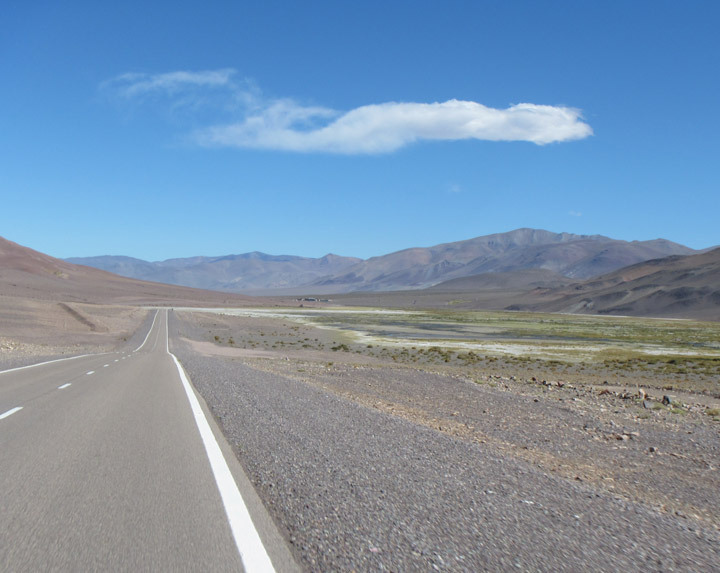 The closest highway to the Project is Ruta Nacional 60, which connects the capital city of Catamarca (San Fernando del Valle de Catamarca) to Copiapó and the seaport of Caldera, via Paso de San Francisco. The project is connected to the highway by an all-weather 60 km dirt road. Over $25 million has been invested in the 3Q Project by September 2018, including a 100 person year-round camp. Despite being discovered on in December 2015 by the founders of the company, the 3Q Project is already fully equipped not only with the full camp and access road, but also with a last generation weather station operating year round, a full geochemical analytical lab on site, solar and diesel power, as well as a zero waste sewage system. The Company has now completed the bench scale evaporation cycle at the project site, based on local weather conditions, concentrating lithium brine by solar evaporation all the way up to 3.8% lithium. This achievement used no reagents except for minor amounts of hydrochloric acid. Sodium sulfate was not added to the brine, demonstrating that calcium chloride, sodium chloride, potassium chloride and borates precipitate naturally and without the need of additives. Of perhaps equal or more importance, calcium chloride precipitated in big crystals with each molecule of calcium chloride capturing six molecules of water, resulting in significant water extraction from the brine by crystallization rather than evaporation. While still early and with further studies required, this finding is expected to have a positive impact on the capital costs of the project by virtue of potentially significantly reducing the size of the ponds required to evaporate the brine. These tests also indicate that the amount of costly reagents could be significantly less than previously scoped, suggesting a meaningful reduction to the operating costs, which are already at the low end of the industry. 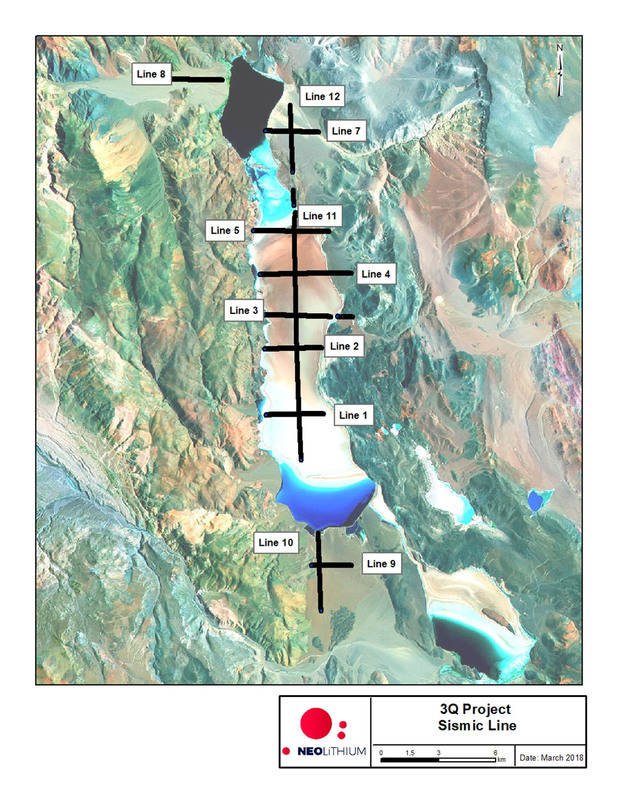 For information concerning the preliminary economic assessment of the 3Q project, including details concerning the estimated capex and opex of the project, see the Company’s technical report entitled “Preliminary Economic Assessment (PEA) 3Q Project, NI 43-101 Technical Report, Catamarca, Argentina” dated December 13, 2017, filed on SEDAR and available on the Company’s website. These bench scale findings are critical, and the Company is now working on scaling up the process studies in an effort to replicate the results at pilot scale. 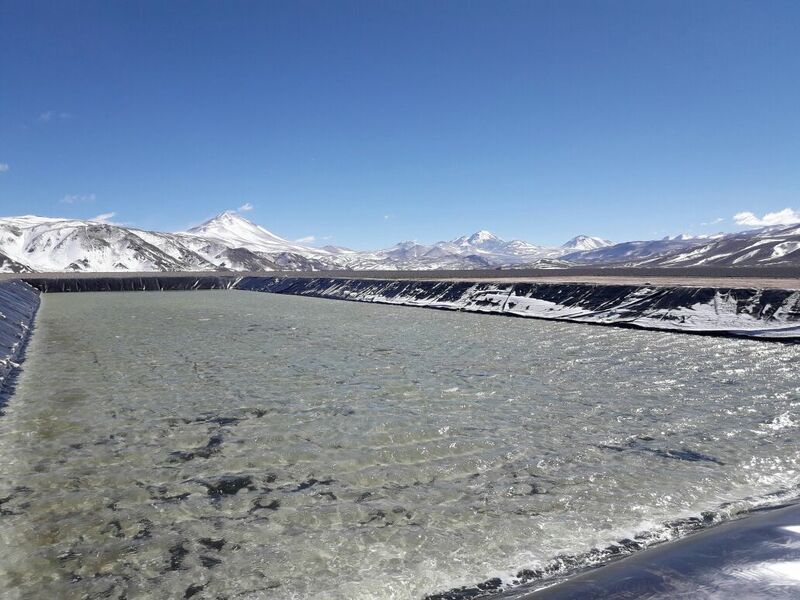 The Company has already started to build two ponds, each one-half hectare in size, on the salar itself to increase brine production in order to feed the pilot plant that is expected to be delivered by the third quarter of 2018 and produce lithium carbonate before the end of the year. The Company has completed the 2017-2018 3Q Project drilling season with a total of 4,345 metres of diamond drilling and 2,056 metres of rotary drilling, an increase of 50% in drilled metres compared to the previous season. 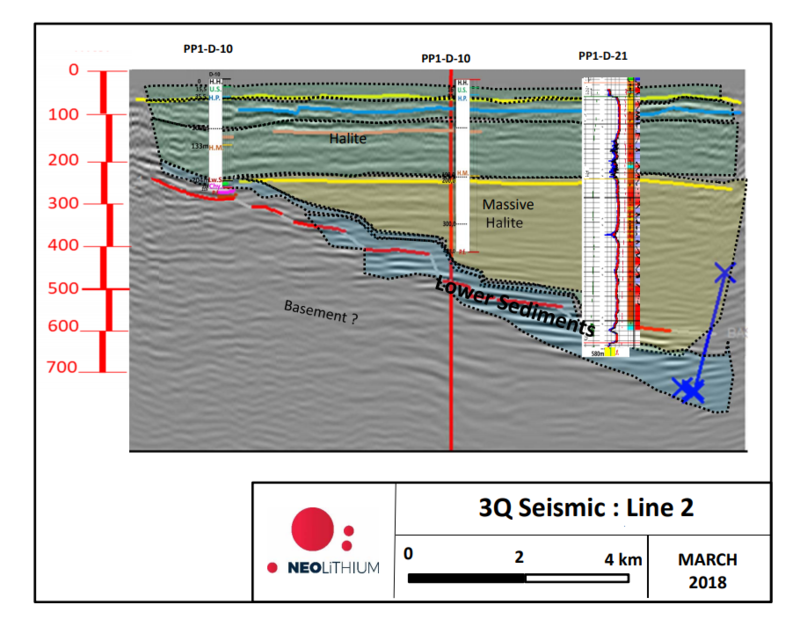 The objective of the drilling was to upgrade and expand the previously reported resource calculation by in-fill drilling and also drilling into the deeper parts of the basin after a seismic survey indicated that there could be deep aquifers down to 600-800 metres. The table below summarizes results for lithium, potassium and Mg/Li and Sulfate/Li impurities from pump wells created from rotary drill holes. The drill hole PB1-R-18 tested the upper sedimentary units under the 3Q northern lake formed by sands and conglomerates. 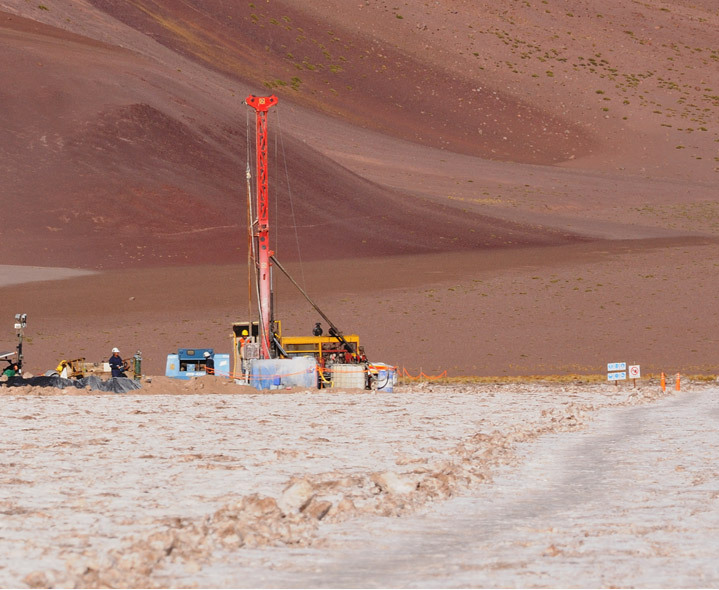 Hole PP1-R-19 was drilled outside of the salar basin in an effort to study the extension of lithium rich brine outside the salar. The table below summarizes results for lithium, potassium and Mg/Li and Sulfate/Li impurities from diamond drill holes. Some of these holes were extended at depth to test the chemistry of the deeper aquifers identified in the seismic survey. Results show that the grade improves at depth. For example, PP1-D-17 runs from 18 to 587 metres at an average of 627 mg/L Lithium and from 479 to 587m at an average of 662 mg/L Lithium. This 10% increase in grade in the deeper aquifer is common in most holes. 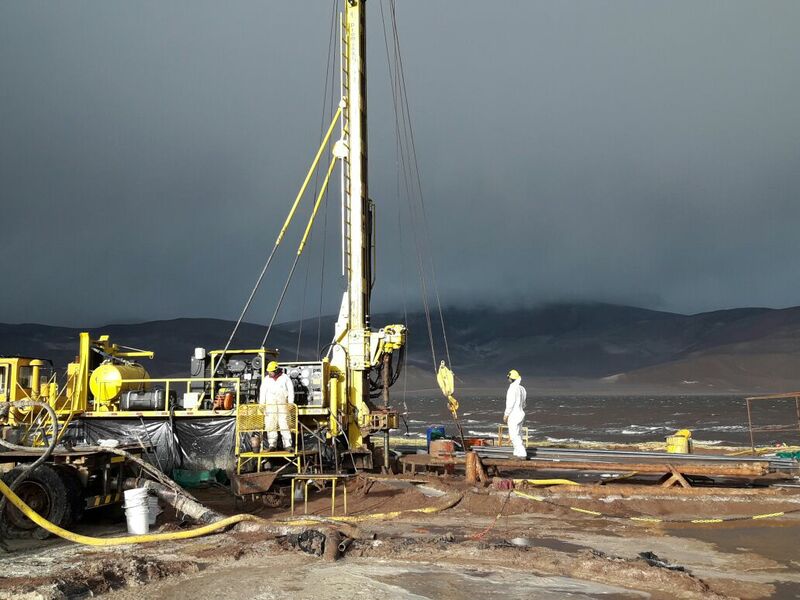 Hole PP1-D-20 was drilled outside of the salar basin to study the extension of lithium brine outside the salar. This season’s results show increased lithium and potassium grades compared to those of the previous exploration season. The average of all drill samples in the previous season was 621 mg/L Lithium and 5,692 mg/L Potassium and this season is 708 mg/L Lithium and 6,693 mg/L Potassium. The depth of the mineralization was also extended from 357m last season to 647m this season. The bottom of the basin was only reached in hole PP1-D-22 at 639m where the volcanic basement was reached, the rest of the holes remain open at depth. All holes were stopped by limitations of the rig, not by geological reasons. The updated resource estimate was developed for the 3Q Project using three-dimensional block modeling software. The modelling was supported by geology, drilling, hydrogeology, geophysics and geochemical data and interpretations provided by the QP and 3Q Project geologists. The modeling generated a Measured, indicated and inferred resource estimate, as defined by the CIM and referenced by the National Instrument 43-101 Technical Report. Results of the Resource Estimate are provided below with a relative cut-off grades of 400mg/L lithium. The in-situ resource estimate encompasses the entire salars and brine lakes of the 3Q Project, an area of approximately 8,183 hectares. Lithium resource estimates are summarized in Table 1 and Potassium resource estimates are summarized in Table 2, below. Note: The values in the above two tables are expressed as total contained metals and have been rounded to the nearest thousand. Average density for the brine is 1.214. The low magnesium and sulfate content of the resource is consistent with the previous resource estimate released on May 23, 2017. Table 3, below, summarizes the main impurities ratios for magnesium and sulfate. 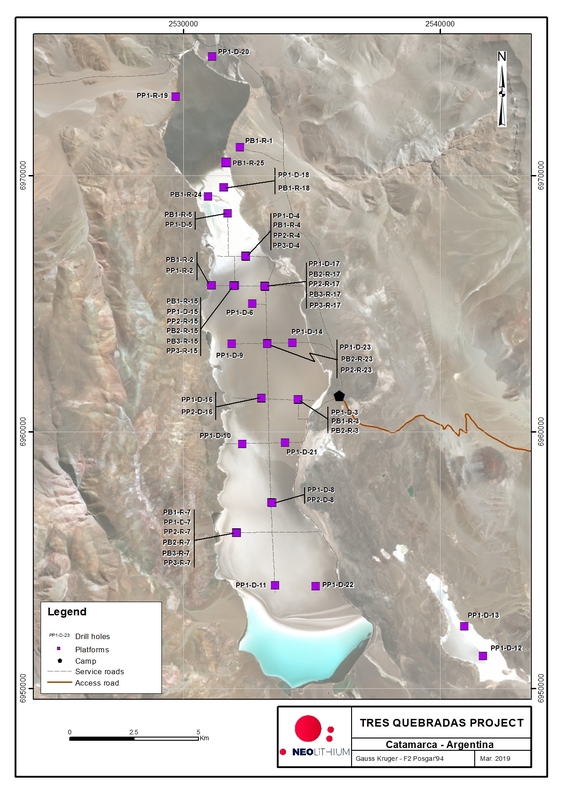 Of note, at a cut off of 800 mg/L Lithium there is a high-grade zone in the northern part of the project with a measured and indicated resource estimate of 746,000 tonnes of lithium carbonate equivalent with an average grade of 1,007 mg/L Lithium and 186,000 tonnes inferred resources with an average grade of 1,240 mg/L Lithium. 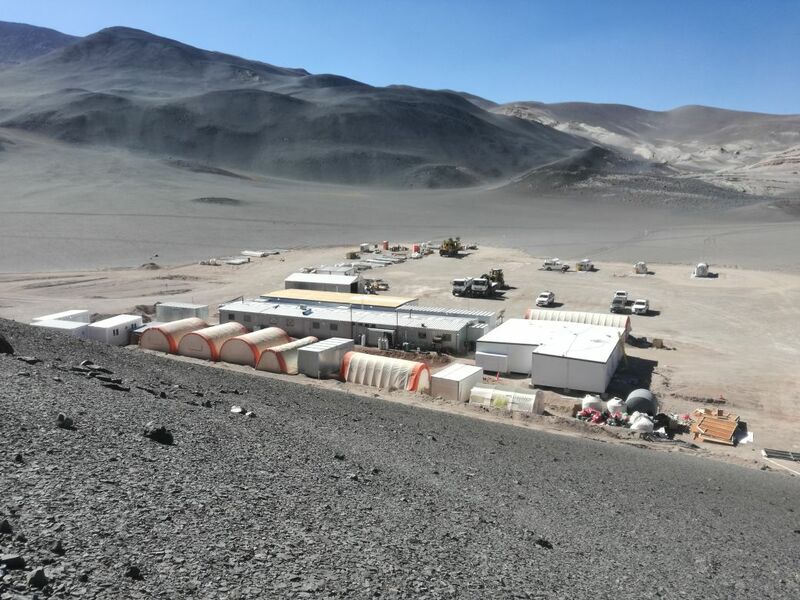 The results of a prefeasibility study (“PFS”) prepared in accordance with National Instrument 43-101 (“NI 43-101”) for its wholly-owned Tres Quebradas lithium brine project ("3Q Project") in Catamarca Province, Argentina. The technical report summarizing the PFS is being prepared by GHD Chile SA ("GHD") and Groundwater Insight Inc., in accordance with NI 43-101 (the “Technical Report”). GHD is a leading independent engineering services firm with extensive experience in projects developments with some of the largest and lowest cost lithium brine processing facilities in Chile and Argentina. Groundwater Insight Inc. is a technical consultancy with lithium brine experience on more than 18 salars in exploration or production stages. The reserve estimation in the Technical Report was done by groundwater numerical model experts IHLLA Research Group under the supervision of Groundwater Insight Inc. (“Groundwater Insight”). Golder SA and G&T Ingenieria SA also collaborated in the study. Unless otherwise indicated, all dollar amounts in this press release are stated in U.S. dollars (“$”). Currency exchange is based on current rates. Note: By-products (such as potash, calcium chloride and boric acid) are not included in the Company’s “Preliminary Economic Assessment (PEA) 3Q Project NI 43-101 Technical Report, Catamarca, Argentina” prepared by GHD with an effective date of December 12, 2017 (“PEA”) or PFS and could potentially add incremental value to the 3Q Project. The Mineral Resources were defined in the Company’s “Updated Mineral Resource Estimate Technical Report on the 3Q Lithium Project, Catamarca Province, Argentina” prepared by Groundwater Insight Inc. with an effective date of August 14, 2018. The tonnage, grade, and classification of the Mineral Reserves captured within the PFS mine plan are summarized below. *Total M&I resources 4,005,000 tonnes LCE @ 400 mg/l cut-off / ** Rounded / *** These two include some incidental capture from the inferred resource, which is excluded from the reserve estimate. Note: numbers may not match exactly due to rounding. The average lithium carbonate pricing estimate over the life of mine is approximately $11,882 per tonne. Mark King, Ph.D., P.Geo., a Canadian Professional Geoscientist registered with the Association of Professional Geoscientists of Nova Scotia, is the independent qualified person signing the report for Groundwater Insight. These two qualified persons under NI 43-101 have reviewed that the technical information in respect to the PFS in this press release is accurate and approve the written disclosure of such information. Other than as set forth above, all scientific and technical information contained in this press release has been reviewed, verified, and approved by Mr. Perez, Ph.D. and P.Geo., CEO and Director of Neo Lithium, and a qualified person for the purposes of NI 43-101, and also supervised the preparation of and approved the contents of this news release. Designed by PENDA Productions Inc.